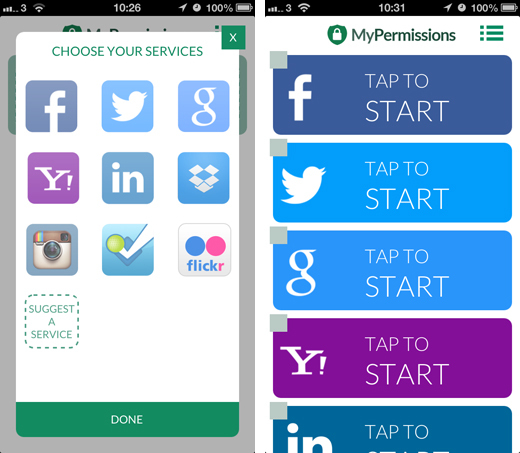 MyPermissions, a startup that helps users to monitor and manage which connected apps have access to their personal information on social networks and Web-based services, has given its mobile apps and Chrome plugin a pretty radical redesign today and introduced real-time alerts for iOS and Android. The service dives into the permission pages for most of the major social networks and cloud-based storage providers, including Facebook, Twitter, Google, Instagram, Foursquare, Flickr and Dropbox. Upon opening the new mobile app, users select which services they would like monitored by tapping on the appropriate icon. These are then added to the MyPermissions home screen, which the user can then manage by signing with their existing account details. 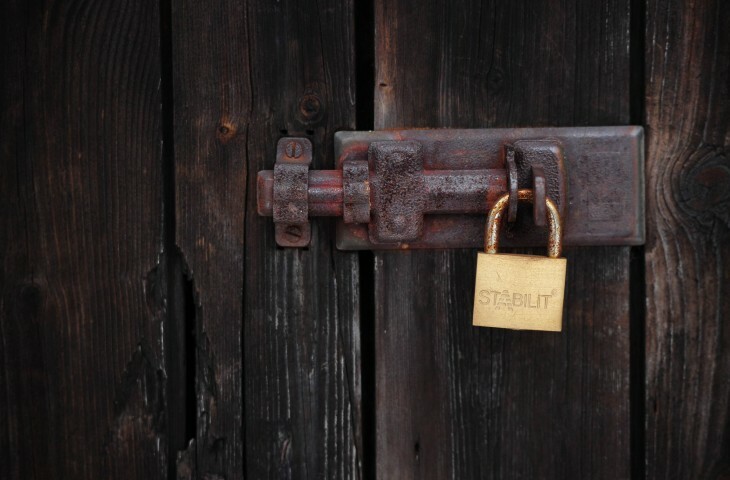 My Permissions then scans the service in question – Facebook took less than five seconds in our tests – before showing a results page containing all the apps with access to at least a handful of permissions. For Facebook, this is taken straight from the mobile site. It’s pretty unintuitive and a bit jarring when compared with the rest of the MyPermissions app, but all of the functionality is there. Tapping back returns to the home screen with two options next to the chosen service. The alerts option on the right-hand side is far more intuitive, as it shows a handy list of all the latest apps to gain access to your personal information. 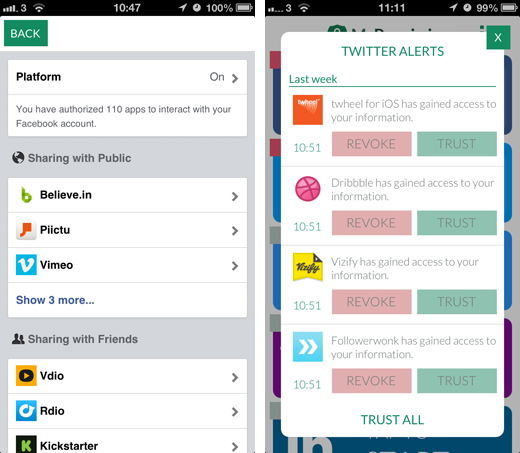 Just two options are shown next to each app – revoke and trust – making it easy to deal with services individually. There’s also the option at the bottom to “trust all”, essentially approving everything shown in the list. All of the other connected services work in much the same way. Diving into each of them individually is a little tedious, but the alerts system is where MyPermissions really comes into its own. Push notifications are delivered in real-time, giving users a quick and direct way to deal with individual apps. Given the groundswell of public scrutiny surrounding the National Security Agency’s (NSA) various data gathering programs, such PRISM, services such as MyPermissions couldn’t be more relevant. It’s all too easy to try out a bunch of new apps, give them permission to access your account information and instantly forget about them. This is a much-needed wake-up call for users to return to these services, take a closer look at their app settings and sort out which of them truly deserve their personal information.